One thing led to another and I left with a little something for you guys. I hope you like brushes. 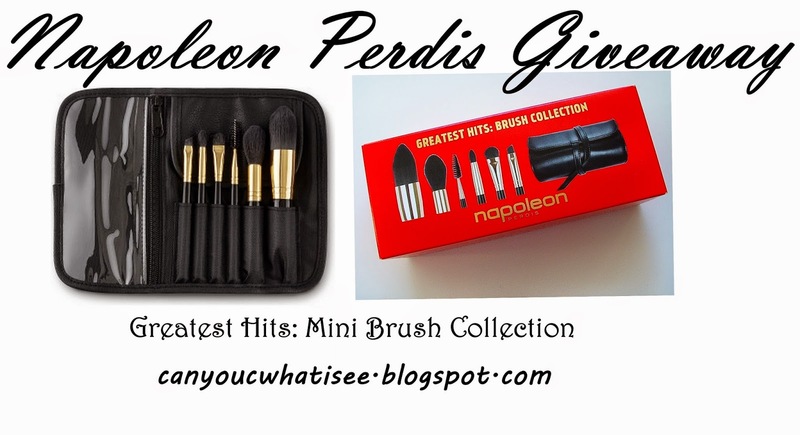 Giveaway opens 5/12/2014 at 8:30 am and closes 11/12/2014 at 12 midnight. 12 comments on "Blogmas - Giveaway #3 - Closed"
Gosh your blog is more exciting than Christmas itself!! I haven't tried out any Napoleon products myself- I had my formal makeup done by Napoleon a few years ago and loved it, thinking I should look into their store next time I'm in Myer! I love NP makeup brushes! I love their blush/bronzer palette, it is so lovely! I have a contour brush from the NP Set line and it makes contouring so much easier and the brush quality is really lovely too! My favourite is the Napoleon Blush Patrol - love the shimmer, the pigmentation and last forever. it gives me sculpted cheekbones in seconds and super finely milled. The autopilot primer. Pricey but worth it. I don't have any NP products but would love to try the BB cream, it has so many rave reviews! Thank you Hailey for the winning email....you for sure made my day.